It's time for Back to School, which also means it's time for multivitamins. Which for my family also means starting the year on track with quality healthy habits. We like choosing high-quality vitamins and supplements but finding a great brand that offers that isn't always easy. That was until I went to Target for a few Back to School items and ran into a KIDS FIRST® multivitamin by Nature Made®. Nature Made® KIDS FIRST® Multivitamin Gummies come in all- natural fruit flavors like Orange, Cherry & Mixed Berry that your kids will love, I know my daughters do. Bonus. They are Gluten free, with no preservatives or yeast. It's really a win win for your kids. Target is one of my favorite stores to shop at for all my Back to School needs, they are extremely organized and offer incredible prices. 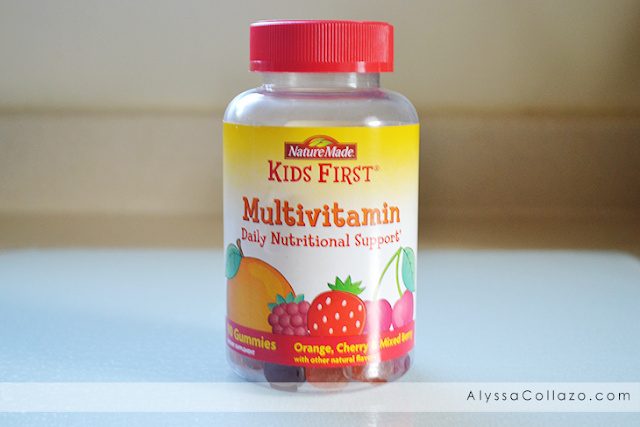 It was so easy for me to locate Nature Made® KIDS FIRST® Multivitamin Gummies and the best part, they are affordable! I love that at Target I am able to grab and go. No worrying about locating products and should I have a problem, a member is always there to help! Shopping at Target definitely saves me time and money, two of my FAVORITE things. Nature Made® KIDS FIRST® Multivitamin Gummies contains 12 essential nutrients for age-specific nutritional support, including vitamins A, C, D and E, B vitamins, and minerals like iodine and zinc! I don't think you can ask for much more in a Multivitamin but should you, Nature Made® KIDS FIRST® offers more like all natural fruit flavors and Colors derived from natural sources which means no synthetic dyes. 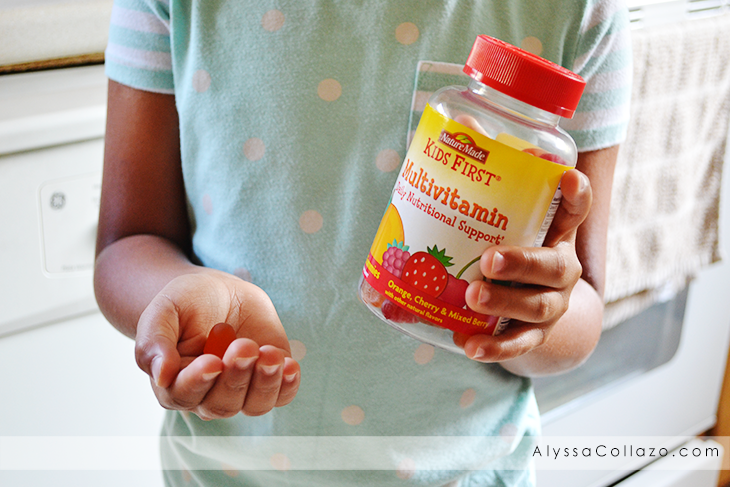 Like my girls, commit to a best- in -class health routine with Nature Made® KIDS FIRST® Multivitamin Gummies. 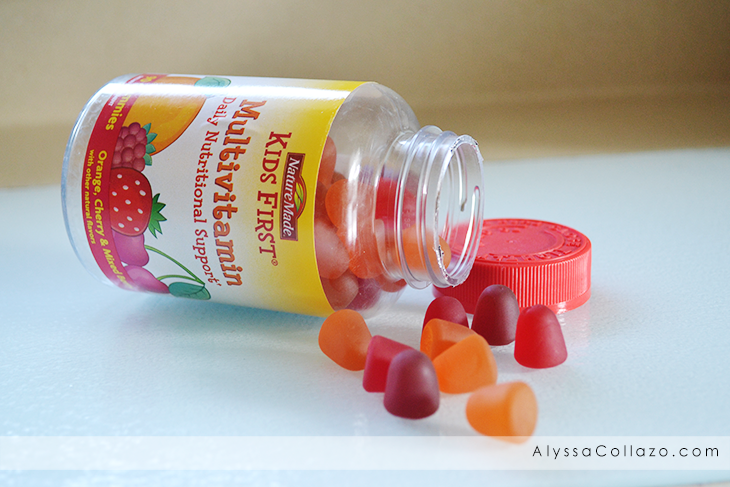 Nature Made® KIDS FIRST® Multivitamin Gummies are the perfect Gummies for kids ages 4-18 years old. It's a one a day Multivitamin Gummy. My girls love the taste and I love that they help fill many of the key nutrient gaps from their diet and supports their overall health. Be sure to pick up a bottle of Nature Made® KIDS FIRST® Multivitamin Gummies at your local Target before school starts! I love when I can find stuff that is gummies for the kids. Whatever it is about a gummy just makes it easier to give and take . Nature made kids first sounds like a winner. Have to go to Target to find this. thanks. I wish we had these in the UK - or Target! I'd love to find a gummy vitamin that my boys could take. Nature Made vitamins are my go to for me and my kids. I researched them when we made the switch to gummies, and they got the highest marks. I have always loved Nature Made vitamins. It was so much easier to get my kids to take gummy vitamins like these. These look so yummy! And healthy and full of nutrients. Even as an adult, I can't wait to try them out - thanks for sharing! I have become a big fan of the gummy vitamins myself. I know these are made for kids, but I rather eat them, then have to force myself to swallow a big pill on the fear of choking. I love multivitamins. They are so good for all of us. And the gummies make it more fun to remember to take them...and my kids love them. My boys love the gummie vitamins. The taste gets them to take their vitamins. It's so important to take a daily vitamin regularly. I love Nature Made vitamins for my kids. They also enjoy the fun flavors! We're always looking for a good multi vit the kids will love. I'll need to check this brand out. This product looks so good for my son. I think I will try it! Looks like a great option for a vitamin for kids. Glad you shared this brand, a friend was asking recently for a vitamin option for kiddos. Will forward this to her! This is wonderful, I bet kida never complain about eating this. It's important to keep them protected and these multivitamins will definitely make you worry less! The kids will really enjoy this since it's in candy form. It's easier for us parents to convince them! Vitamins are super important and if we can give the kids and easier source then that's awesome. Good to know you found the perfect solution. These gummies are pretty awesome. These gummies look great,my daughter loves gummy vitamins. I think we will have to try these out! yes, back to school for us means we are also getting closer to cold and flu season. my son takes a daily gummy multivitamin, but we haven't tried these. since i practically live at target, ill have to pick these up next time i go. I haven't tried this brand. Sounds like a great vitamins for the kids. My son loves chewable vitamins, I think he will have a hard time to outgrown them. I will check this brand at target. I am so sure that my son will love this. He like orange-flavored. I love gummy vitamins. They are an easy and fun way to get my family to take their vitamins. We just got some of these for the kids when we were back to school shopping. My youngest love taking her nightly vitamin. I buy Nature Made vitamins. My kids have braces so we can't use the gummies though. My kids love these vitamins! It is so nice to have them not fight taking vitamins every day. My kids take these daily. They love the taste, so it is no problem getting them to take their vitamins. These look great! My son loves gummies! It makes him think he's eating candy when he takes them everyday! 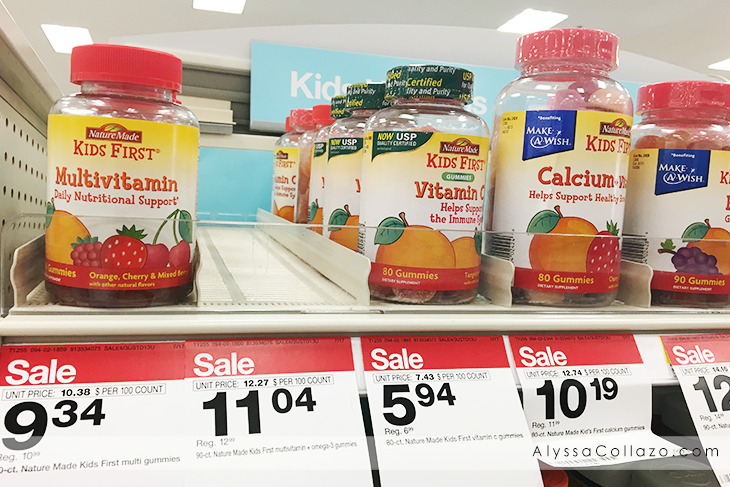 Its great that Target has some great multivitamins, especially for kids to go back to school. these multivitamins look awesome and yummy! heck I would want them haha. They are so important for development. I didn't know they made kid multivitamins. Good to know! Multivitamins are so important! Need to get some for my son! Sounds like a great choice. Resistance building and taking vitamins is a must for any growing kid and even for teens. Gummy ones just makes it more enjoyable! Another healthy gummy for the kids. It will make sure bring fun into them. Thank you for sharing this article.